Kodi (previous known as Xbox Media Center or XBMC) is an open-source media player designed to be used as home entertainment (TV (live and recorded), films, video, music, podcasts, photos, and slideshows) for free. Kodi supports more than 65 languages and available in huge range of platforms: Android, iOS, BSD, Linux, Mac OS X, Windows operating systems, Ubuntu, Raspberry Pi, and Freescale IMX6. Today, Kodi has started released version 17.2 for Windows OS bringing lot of important fixes and improvements, included one for a potential security flaw, but the update don’t comes with any new features. Auslogics Disk Defrag Pro is an advanced defragmenter software that can analyse and defragments overall computer with its new optimization algorithms and boot-time defragment technology. Auslogics Disk Defrag Pro offers faster performance and four disk optimization techniques to placement files on disks, array frequently accessed files and infrequently accessed files at suitable locations. In addition, the program also features special SSD (Solid-State Drive) defragmentation algorithm and VSS-enabled snapshots. Besides that, Auslogics Disk Defrag Pro also allows users configurable priority levels – “Low Priority” will reduce the performance impact of the defragment process, while “resource profiles” (self-setting priority levels) for better control the defragment process. Good news for all PC user, now you can use WinX HD Video Converter Deluxe to download, convert, edit any videos file format to play on various media players in PC, or any devices without losing its quality. Digiarty is giving away free WinX HD Video Converter Deluxe worth $49.95 for everyone in celebrate the company 11th Anniversary. WinX HD Video Converter Deluxe is a comprehensive converter software that provides the largest library of conversion profiles (400 conversion profiles), and supports more than 370 video audio codes. With WinX HD Video Converter Deluxe, user can fully utilize software become as Ultra HD video converter, online (YouTube) video downloader, slideshow maker, video editor, and more. With the fast moving digital world, most of the devices are supported various video file format such as AVI, MP4, WMV, MPEG, and other. The only problem is that not all the video is available or compatible with a particular device or play on budget smartphone, laptop or tablet. The good news, there is a way to convert any video file format to the file format that wish for free and without losing quality. All you need to do is drag the videos to the WinX HD Video Converter Deluxe. 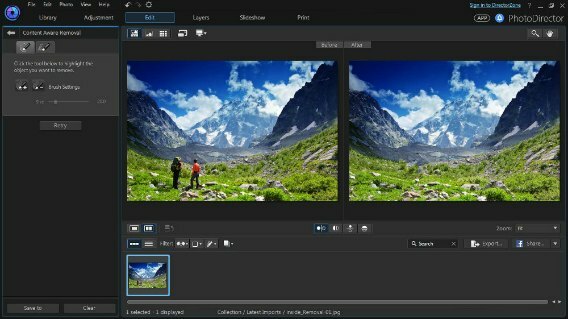 PhotoDirector 7 Deluxe is an all-in-one photo editing and photo management software from CyberLink, providing powerful and creative high-quality photo processing tools for edit photos, enhance, object removal, and touch up photos. PhotoDirector 7 Deluxe special designed for Windows OS as an alternative to some of the more expensive and complex software such as Adobe’s Photoshop. In short, PhotoDirector 7 Deluxe has many of the requisite features that user need for enhance photos. PhotoDirector 7 Deluxe comes with a huge range of high-end edit tools including correct lens distortions, create HDR images, add visual effects, applying watermarks, remove unwanted objects in photos, adjusting the color tone, create a slideshow in Ultra HD 4K quality, and much more. PhotoDirector 7 Deluxe available in separate sections – “Library” for import, view, rate, tag and organise photos, “Adjustment” provides manual and fully automatic tweaks for colour, white balance, tone, sharpness and more, “Edit” section for edit photo with software tools, “Layers” section supports up to 100 layers per photo for manipulate photo with various tools and 14 blending modes. If you’re looking for free software or tired of purchases software, Digiarty is here to give away 4 paid software worth nearly $170 altogether to everyone without any costs in their official website. This is time limited give away as celebrate Christmas and New Year Holiday. The 4 give away software as MacX MediaTrans, MacX iPhone DVD Ripper, and etc. As usual in season celebrate holiday, most of the software companies will give away their top famous software to public at no cost. WonderFox and other 15 software companies is giving away a bundle of software which worth $1144 to everyone. 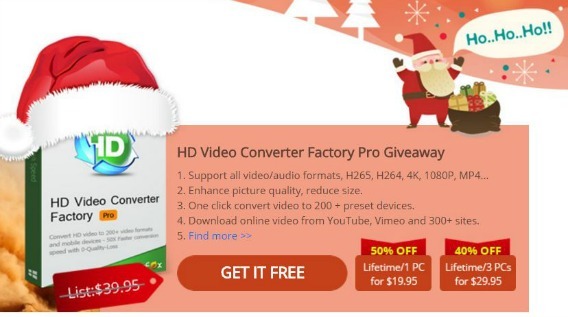 There are total 9 software for free include HD Video Converter Factory Pro, DVD Video Converter, Watermark Software, and etc. The free give away software range in price from $29.90 up to $59.95. MacX MediaTrans is a media management application from Digiarty MacXDVD that designed for Mac operating system to transfer, copy or backup music, photos, videos, and eBooks to iDevices such as iPhone 6, iPhone 6SE, iPhone 7, iPad, and iPod. With MacX MediaTrans, there is no more disquiet on erasing original data, comes with easy to use interface, awkward one-way sync process or strict format limitation. In addition, MacX MediaTrans not only limit for manages and organizes photo, video, music, movie, TV show, but also supports backup PDF, APP, dmg to iDevice by using USB drive. The files will auto convert to fit on iDevice and enable user to create, delete, edit playlists, and manage music tracks, albums & genres in batch.